The letter above from Baruch Levy to Karl Marx can be said to be something of a mission statement for the Rothschilds-led synagogue of Satan. The Jewish people have grown tired of continuing to wait for their promised salvation, having ignored and derided the Messiah who God has provided to them in Jesus Christ. As the years after the crucifixion and resurrection of Jesus Christ turned to decades, the decades to centuries and the centuries to millennia, most people who identify as Jews no longer follow God at all. Alienated from God, they have sought to engineer their own salvation in their darkened state. In the above letter, “the abolition of frontiers” refers to open borders allowing mass immigration into western countries such as Australia in order to achieve the “dissolution of other races”, such as the Anglo-Saxon race of Australian citizens, by flooding western countries with people of other races, such as people from China and India in the case of Australia (and Mexico in the case of the United States of America). “The annihilation of monarchy” refers to the brutal murder of the Russian Czar, Nicholas II, and his family on 17th July, 1918 before the Jews imposed nightmarish communism on Russia in place of his rule and established the Union of Soviet Socialist Republics, which is their plan for the entire world. “A world republic” is one single, homogenous, geographic entity (ie. the entire world) which is intended to be controlled and ruled over by the Jewish people alone. The last sentence of the quote above highlights the Jewish people’s obsession with material wealth. The biggest obstacle to this plan of the Jews is the church of Jesus Christ, which is why so many crypto-Jews (ie. Jews in secret) pretend to be followers of Jesus Christ in an effort to hijack, subvert and weaken the church. The following people are all crypto-Jews (ie. Jews in secret) whose allegiance is to Baruch Levy’s vision in the letter above for a world dominated by and ruled by Jews. Obviously this is not an exhaustive list of crypto-Jews. Donald Trump is a Jew whose allegiance is to the Rothschilds-led synagogue of Satan. His role as a presidential candidate was to persuade the citizens of the United States of America that there was a candidate who shared their concerns and grievances. Puppets like Donald Trump are wheeled out at elections in order to improve the confidence of the citizenry in the moribund system of 'representative' democracy that governs the United States of America and which guarantees that the best interests of the citizenry are consistently betrayed. The only system of government that will ensure that the best interests of the citizenry are consistently upheld is direct democracy, whereby every citizen can vote voluntarily via the internet or via telephone on every issue in their jurisdiction, whether federal, state or county, with the majority vote determining the policy that is enacted. Angela Merkel is a crypto-Jew who is often seen making the pyramid symbol of the synagogue of Satan with the fingers of both of her hands. Malcolm Turnbull is a Jew who has previously pretended to be a Roman Catholic and is now pretending to be a Prime Minister. Malcolm Turnbull became the Prime Minister of Australia on 15th September, 2015. On that same day, the photograph above appeared on the following web page of the Sydney Morning Herald, showing Malcolm Turnbull making a pyramid symbol with his hands. This pyramid symbol signifies Malcolm Turnbull's allegiance to the synagogue of Satan since the pyramid is a primary symbol of the synagogue of Satan, which signifies top-down, hierarchical control. Malcolm Turnbull’s wife, Lucy Turnbull, is chair of the NSW State Government’s Greater Sydney Commission, which is concerned with planning the future development of Sydney so that it can fit as large a population as possible. Mass immigration also serves to diminish the average wealth of each Australian citizen by increasing the size of the population in Australia. The wealth of Australia is embodied in its geographic landmass, the livestock that live upon it (such as cows for milk, chickens for eggs and sheep for wool), the trees that grow upon it (to provide timber for the construction of houses) and everything that comes out of the ground (such as vegetables and fruits for food, minerals for the production of steel, coal to generate energy and gas for heating). Therefore, the wealth of the average Australian citizen is equivalent to the amount of land in Australia that the average Australian citizen owns. This is also a reliable proxy for the quality of life of the average Australian citizen. Mass immigration causes the size of the population in Australia to increase while the geographic landmass of Australia remains fixed in size. Therefore, mass immigration causes the amount of land in Australia that the average Australian citizen owns to decrease, thereby diminishing the wealth of the average Australian citizen and the quality of life of the average Australian citizen. This negative effect of mass immigration on the wealth and quality of life of the average Australian citizen fulfills the objective of the synagogue of Satan to disempower existing non-Jewish Australian citizens so that they can be more easily dominated by and ruled over by Jews. Importantly, mass immigration is also intended to provide a continuing stream of customers to borrow from the four major commercial banks in Australia, so that their Jewish fraud of creating money out of nothing and lending it at interest can continue. The mainstream media is lying when it says that these banks obtain a large portion of their funding from overseas and then lend it on to their customers in Australia. Banks create money when they lend at interest. The Bank of England has admitted this in plain language. About 3% of the money in circulation in the Australian economy is physical notes and coins. The rest is money that was created when banks lent to customers (eg. mortgages, business loans, personal loans, car loans, credit cards). Without a continuing supply of customers to lend to, the Australian economy will grind to a halt as existing borrowers pay down their loans with interest out of the insufficient amount of money in circulation. The banks only create an amount of money matching the principal of the loan when they lend. They don’t create the interest. There is therefore never enough money in circulation to pay down all loans with interest, hence the need for new customers to lend to so that more money can be created. As another individual has very intelligently observed, this fraud of banks creating money out of nothing when they lend it for purposes such as mortgages and charging interest on it is, in essence, “a cleverly disguised system of slavery”. The borrowers repaying the mortgages work with bended back generating goods and services in order to earn the money required to pay the interest on the mortgages. The beneficiaries of the interest revenue, which required negligible effort to generate, such as the employees of the banks, whose salaries are paid out of the interest revenue, and the shareholders of the banks, whose dividends are paid out of the profits derived from the interest revenue, can spend their salaries and their dividends on the goods and services that the borrowers generated in the course of meeting their interest obligations on the mortgages. The borrowers are, in effect, the slaves of the banks, their employees and their shareholders, because they perform work to meet their interest obligations on the mortgages without receiving anything of significance in return. The principal loaned to them via their mortgages was created out of nothing by the banks. As some have profoundly observed, money, being both physical money (ie. notes and coins) and electronic money (ie. debt), is, in and of itself, of negligible value. For example, physical notes and coins are, in and of themselves, only worth the paper, ink and metals required to produce them. Electronic money (ie. debt) is, in our modern world, little more than electronic impulses stored on computers. It is the ability to exchange both physical money and electronic money for real goods and real services that gives it its profound value. Here lies a clue as to the agenda of the banking system we are currently forced to live with and of the Rothschilds-led synagogue of Satan which designed it. The agenda is, as is obvious by now, to convert both physical money and electronic money (which both have negligible worth) into goods and services of value, such as land, houses, motor vehicles and tools, to name a few goods, and overseas travel and automotive maintenance and repair, to name just two of any number of services. Scott Morrison is a Jew pretending to be a follower of Jesus Christ. He’s also pretending to be the Treasurer of Australia and has zero interest in applying himself to the duties required of this role in good faith. Scott Morrison’s allegiance is not to the citizens of Australia but to the synagogue of Satan. 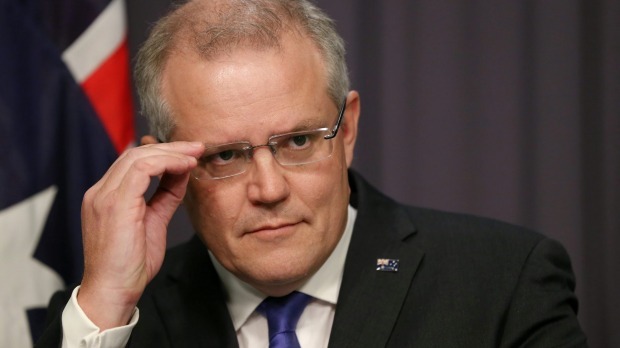 On 7th April, 2016, the photograph above appeared on the following web page of the Sydney Morning Herald, showing Scott Morrison, the current Treasurer of Australia, making the All-Seeing Eye symbol of the Rothschilds-led synagogue of Satan by holding just one side of his glasses. This All-Seeing Eye symbol signifies Scott Morrison’s allegiance to the synagogue of Satan since the All-Seeing Eye is a primary symbol of the synagogue of Satan which signifies, among other things, how pervasively powerful it considers itself to be. Scott Morrison studied “Applied Economic Geography” at the University of New South Wales but ironically refuses to acknowledge the role that mass immigration into Australia plays in increasing demand for housing and increasing house prices by increasing the population density (which is an economic and geographic concept that Scott Morrison should be aware of as a result of his university studies that influences demand for housing) in locations such as Sydney, Australia (which are of a relatively fixed geographic size reflecting the relatively fixed supply of housing in such locations). It is not that Scott Morrison doesn’t understand this role that mass immigration plays in increasing house prices. It is rather that he welcomes this role that mass immigration plays because it has been the intention of the Rothschilds-led synagogue of Satan since the mid-1980s to make housing, the fourth most basic need after water, food and clothing, prohibitively expensive for Gentiles (ie. non-Jews) in Australia. This was achieved by allowing the deductibility of the operating loss on investment properties against other unrelated forms of income, like wages and salaries, in the mid-1980s, popularly known as “negative gearing”, so that more people would be able to afford to take out loans from the banks to buy ‘investment’ properties, thereby fueling demand for housing from ‘investors’ and raising its price. Never mind that the very definition of investment entails purchasing an asset out of savings, not borrowings, which is to say that no bank in Australia should be allowed to lend for the purpose of the borrower purchasing an asset for investment with the objective of making a capital gain over time, such as real estate, shares, art, coins or antiques. Borrowing for such a purchase is not investment. It’s speculation. However, if such a purchase is financed out of existing savings, rather than borrowings, then it can correctly be called an “investment”. Without negative gearing, the overwhelming majority of property ‘investors’ wouldn’t be able to afford to meet the repayments required by the mortgages they took out to purchase their ‘investment’ properties and therefore wouldn’t be able to purchase these properties. Negative gearing therefore led to dramatically increased demand for housing from ‘investors’ and a dramatic escalation in house prices. The banks and their shareholders were very happy because they had dramatically increased their lending for housing via this increased lending to ‘investors’, which led directly to an increase in their interest revenue and profit. It is very reasonable to conclude that it was the banking industry that pushed the idea of negative gearing in the mid-1980s in the first place and persuaded the federal government to adopt it with the multiple objectives of increasing their interest revenue via lending to ‘investors’, increasing the cost of housing via increased demand from ‘investors’, putting the cost of housing out of reach of a large proportion of Australian citizens, and increasing the cost of housing to ensure that their future interest revenues associated with mortgages in general would increase as the size of mortgages necessarily increases to meet the escalating cost of housing. This kind of ‘strategy’ causes bankers to break into wide grins, which is why so many right-thinking people dislike them so intensely. Buoyed by its success in putting the cost of housing beyond the reach of Generation X, including the author of this website, the federal government looked for other ways to further increase the demand for housing in Australia and so send house prices even higher. It ramped up mass immigration from the 1990s onwards to dramatically increase demand for housing. In what was the biggest slap in the face to Australian citizens in a long time, it allowed foreign citizens who aren’t Australian citizens to purchase housing in Australia (ie. residential real estate in Australia) which also dramatically increased the demand for housing. Lastly, it allowed Australian citizens to use their superannuation to purchase investment properties, most of whom needed to borrow from the banks to make up the shortfall in the purchase price, thereby fuelling demand for housing via demand for ‘investment’ properties, dubiously financed with borrowings contrary to the actual definition of investment. So comprehensive has the federal government’s effort over the past three decades been to inflate the price of housing that this account of it is most likely incomplete. It is very discouraging to realize what is obvious by now. The federal government in Australia has been making up economic policy as it goes over the past three decades and longer, such as economic policy that relates to housing in Australia. However, it is sound reasoning, governed by a sound set of principles, rather than opportunistic expediency, that should govern the formulation of federal economic policy in Australia. 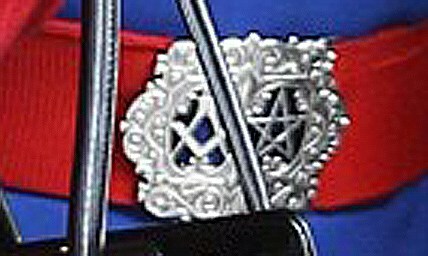 Queen Elizabeth II leaves King Edward VII Hospital on 3rd March, 2013, accompanied by her trusted nurse wearing a belt buckle containing, from left to right, the square and compasses symbol of Freemasonry and the pentagram symbol of the synagogue of Satan. Queen Elizabeth is knowingly involved in the synagogue of Satan. 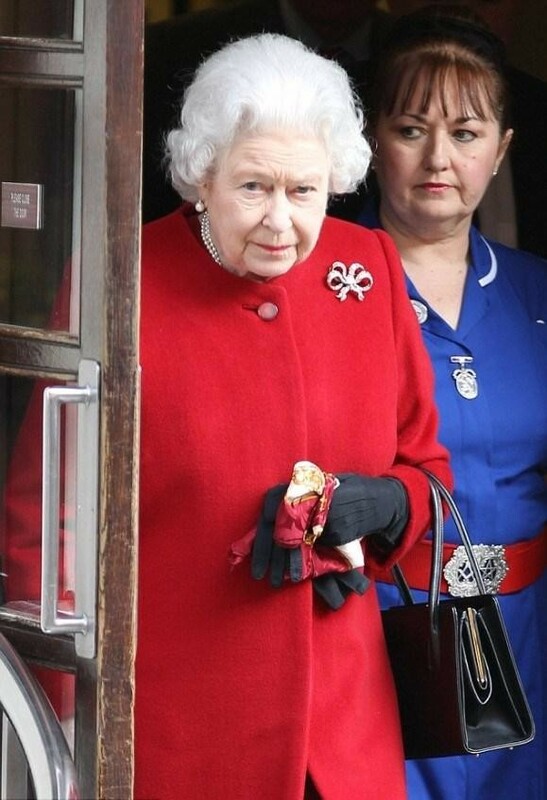 The only way the most powerful woman in the United Kingdom has a nurse standing by her side wearing a belt buckle containing satanic symbols is if she, Queen Elizabeth, approves of the symbols. Queen Elizabeth is the Supreme Governor of the Church of England. The Church of England, which includes the Anglican Diocese of Sydney, is led by Queen Elizabeth, a Satanist pretending to be a Christian. The Anglican Diocese of Sydney, Australia is the institutional church of Sydney, Australia. It is completely corrupted and has an effeminate culture due to Queen Elizabeth's female leadership of the Church of England to which the Anglican Diocese of Sydney belongs. Queen Elizabeth, who heads the Church of England as its Supreme Governor (in disobedience to the teaching of the Bible which forbids women to lead the church of Jesus Christ - 1 Timothy 2:12), is knowingly and deliberately involved in the synagogue of Satan. The Anglican Diocese of Sydney has preached a false gospel for a long time. In a nutshell, it preaches that it is impossible for Christians to live in obedience to God - they will fail continually - and that the only hope they have is placing their trust in Jesus' death on the cross for the forgiveness for their sins. The Bible puts it differently. It documents Jesus' atonement for our sins through his death on the cross and describes the relief from guilt and shame it provides. It absolutely admonishes Christians not to continue in their sins, knowing that they have been forgiven for their past sins. The diocese preaches a gospel of spiritual defeat and inability to overcome sin, which is why it languishes. The Bible preaches a gospel of spiritual victory and ability to overcome sin. Most Christians who attend an Anglican church in the diocese are going to receive this defeatism brainwashing. Even the strongest people can end up submitting to what they hear preached time and time again. I wrote to a minister at the Anglican church I attended in 1992 explaining very excitedly how I'd come to see the gospel of victory we're called to live. He thanked me verbally for my letter and gently cautioned me to expect to live a gospel of defeat. The Church of England and the Anglican Diocese of Sydney are both massive containment exercises to prevent the church of Jesus Christ from growing like it should. In recent years, the Anglican Diocese of Sydney has added 3 new members each year for every 2000 people in the church. The purpose of the Church of England and the Anglican Diocese of Sydney is to keep the peasants in their place at the bottom of the pyramid that our society under the control of the synagogue of Satan resembles. The Anglican Diocese of Sydney keeps the peasants in their place by continually reminding its members of their sinfulness, whereas the Bible calls the saints to lives of obedience in which they overcome sin. The Anglican Diocese of Sydney thereby takes on the role of the accuser of the brethren, which, of course, is the role of Satan himself. I attended an Anglican church in Sydney from 1991 to 1998. The amount of condemnation that was heaped upon the members sitting in the pews listening to the preaching was unbelievable. Beyond any doubt whatsoever, this condemnation is spiritual abuse. I spent seven years in an Anglican church in Sydney, Australia in the 1990s and then left in disgust when I realised that it was Christianity in a vacuum. The Anglican Diocese of Sydney contains Christianity so that it never spreads out to correct glaring problems in society, such as our fraudulent banking system in which privately-owned banks create money out of nothing and lend it at interest. I hold a Bachelor of Economics majoring in Accounting & Finance from Macquarie University, Sydney, Australia and I am not misinformed. We are being played for fools and the Anglican Diocese of Sydney works to keep Christians ignorant of the ways in which they and their fellow citizens are being viciously exploited. It spends part of its budget on "helping the poor" so that it can appear to care about poor people in society when it really doesn't care about them at all. It cares about perpetuating the status quo which entrenches poverty in our society. The token concern for the poor that the Anglican Diocese of Sydney displays is a strategy commonly used by the synagogue of Satan to conceal its true, nefarious objectives behind token charitable works. Anglicare in Sydney has been set up by the diocese to have the appearance of being concerned about the poor by making this token effort when the truth is that the leadership of the Anglican Diocese of Sydney couldn't care less about the poor. Anglicare in Sydney helps thousands of people every year but our fraudulent banking system which creates money out of nothing and lends it out at interest is grievously harming multiple millions of people every year. The leadership of the diocese is fully aware of this fraud and does not have the slightest interest in exposing it. Many of those leading the diocese are crypto-Jews pretending to be followers of Jesus Christ whose allegiance is to the synagogue of Satan. This banking fraud is the key tool that the synagogue of Satan uses to oppress the poor WORLDWIDE. What did Justin Welby come out in opposition to as the Archbishop of Canterbury a few months after taking up his role on 21st March, 2013? Payday lenders. What a joke. Justin Welby is a very learned man who is fully aware of the fraud of our banking system. However he didn't expose this fraud because he's a crypto-Jew pretending to be a follower of Jesus Christ. Instead he made a public statement against payday lenders to feign concern for the poor. The opposition to the synagogue of Satan is the church of Jesus Christ. The easiest way to control the opposition is to lead it. The Church of England in the United Kingdom is completely controlled by the synagogue of Satan. That control extends to the Anglican Diocese of Sydney. This control was put in place long before I attended an Anglican church in Sydney from 1991 to 1998. Christians often turn up to Anglican churches weary of the challenges they meet out in the world. The leadership of the Anglican churches in Sydney, many of whom are crypto-Jews and Freemasons pretending to be followers of Jesus Christ, tell these Christians in the pews that the reason they are facing these challenges is that we live in a fallen world. They tell these Christians in the pews that this is never going to get better in this life - that it will only get better in the next life. What they don't tell them is that there is a group of people on earth who wittingly or unwittingly follow Satan and who are leading humanity astray. These people occupy positions of leadership in all areas of society and make life problematic for the citizenry in their multitudes. Many of these people are openly or secretly Jewish. Many of the non-Jewish males who wittingly or unwittingly follow Satan belong to the occult organisation of Freemasonry. Many of the non-Jewish females who wittingly or unwittingly follow Satan belong to the occult organisation of the Order of the Eastern Star. The deception that has been perpetrated in the Anglican Diocese of Sydney preys upon the youth of many of the members in the pews. Youth are taught to acknowledge that their church leaders know best and to respect the authority of their church leaders. This is false teaching. They should be teaching them to measure everything against the Bible. Imposters in the pulpits in the Anglican Diocese of Sydney and on the ministry staff rely on every means to build their credibility, including gaining multiple academic qualifications, but often discourage members of these churches from pursuing these qualifications themselves too vigorously. They paint such pursuit as idolatry. Therefore, the perceived credibility of the church members is weakened while the perceived credibility of these imposters is strengthened. This makes it more difficult for the church members to challenge these imposters when they feel that they are leading them astray. If they do challenge them, these imposters often resort to tactics used by people involved in the synagogue of Satan to invalidate and brush off the concerns raised by the church members.